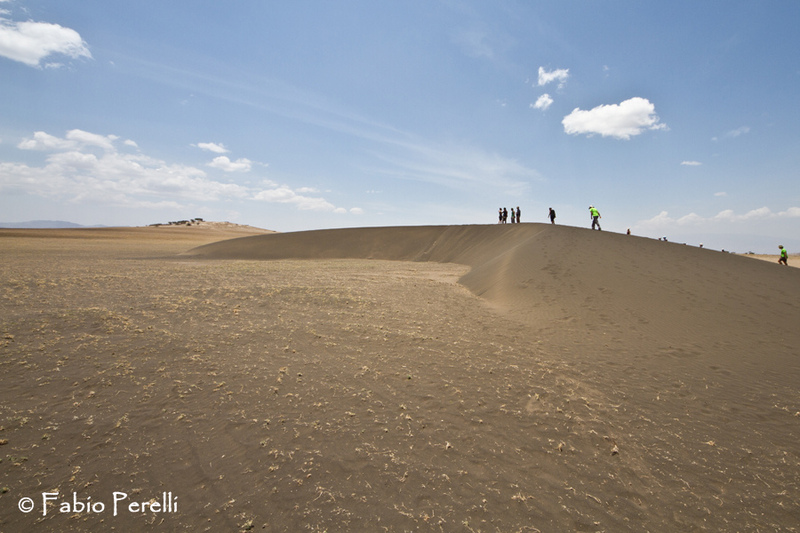 Located near Olduvai Gorge lies the spectacular, yet mysterious, ash dunes of Shifting Sands. 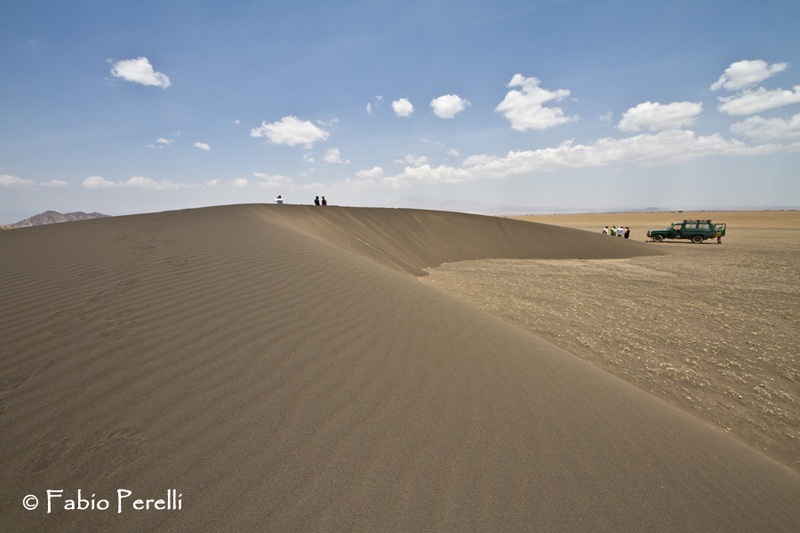 Formed from volcanic ash, these crescent-shaped dunes are a rare phenomenon, and are technically referred to as barkan. 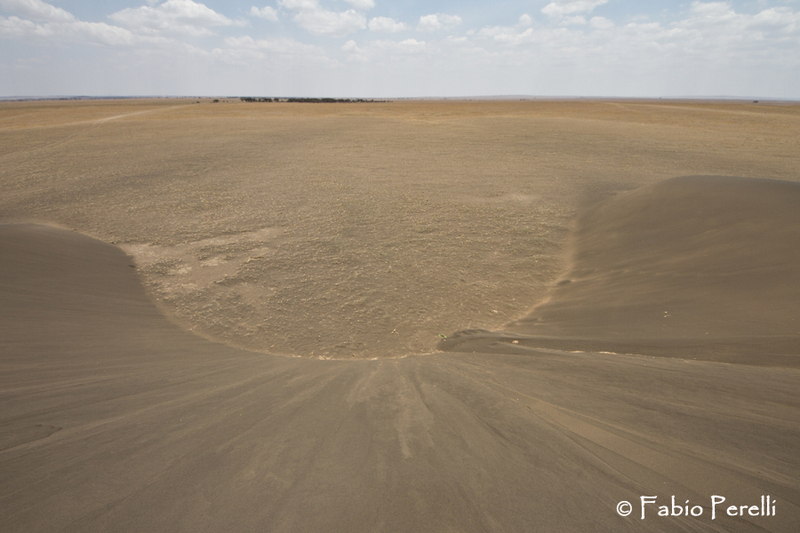 These dunes are formed when there’s ample dust on the ground and a unidirectional wind to create the moving effect. The volcanic ash (or dust) collects around a rock, and continually gathers until it forms what appears to be a small sand dune. This process is continuous, and as it progresses the unidirectional wind causes the dune to move. 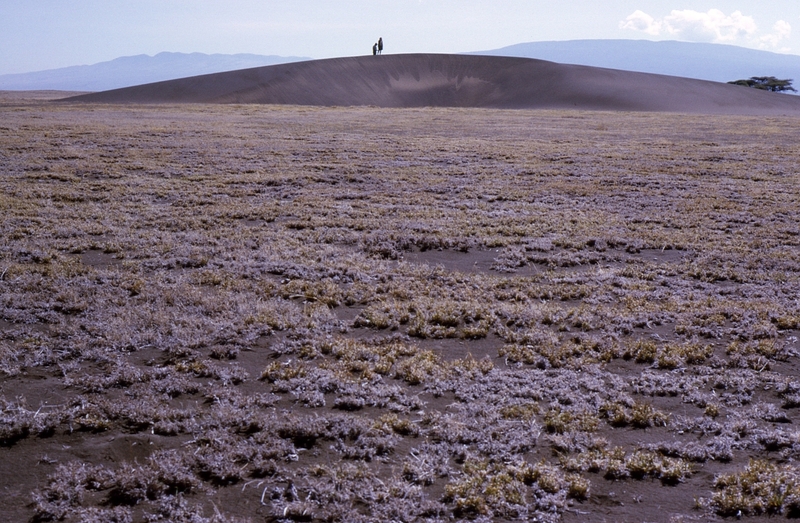 In the case of these Shifting Sands, they tend to move around 10 meters a year. 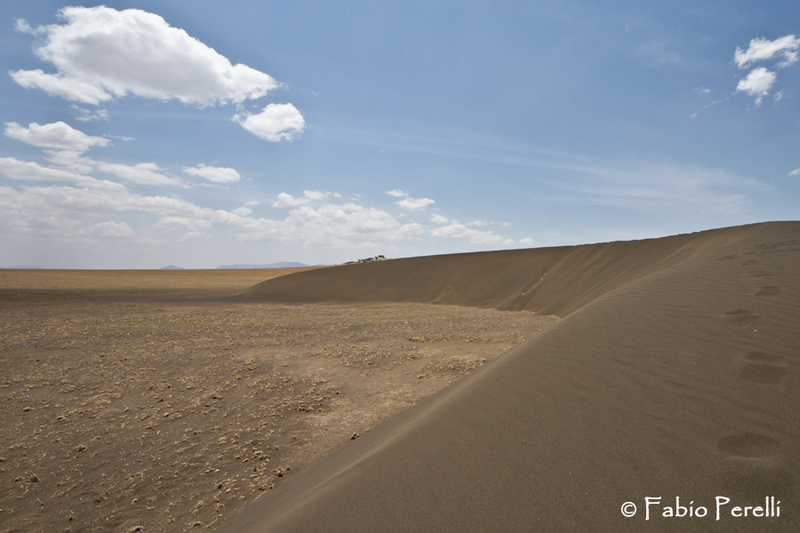 The local Maasai tribe believe that the sand dunes originated from Ol Doinyo Lengai (Mountain of God), the holiest place in their culture. 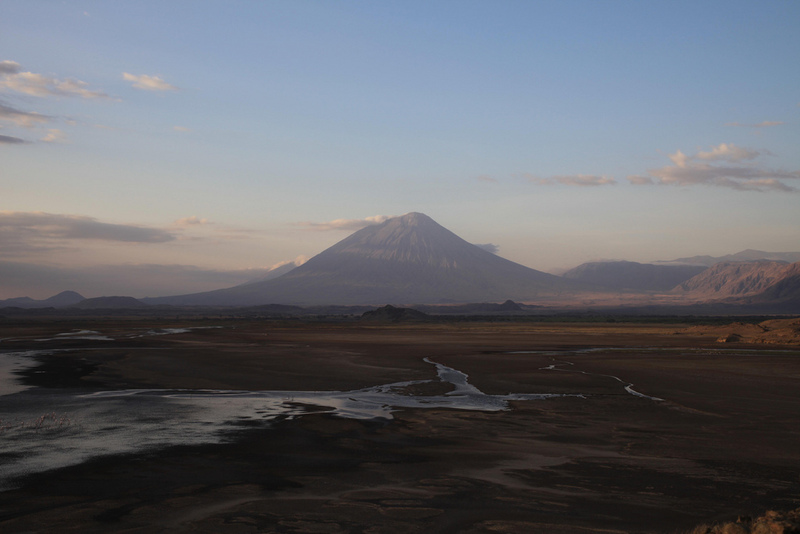 You can see Ol Doinyo Lengai from Olduvai on an unclouded day. 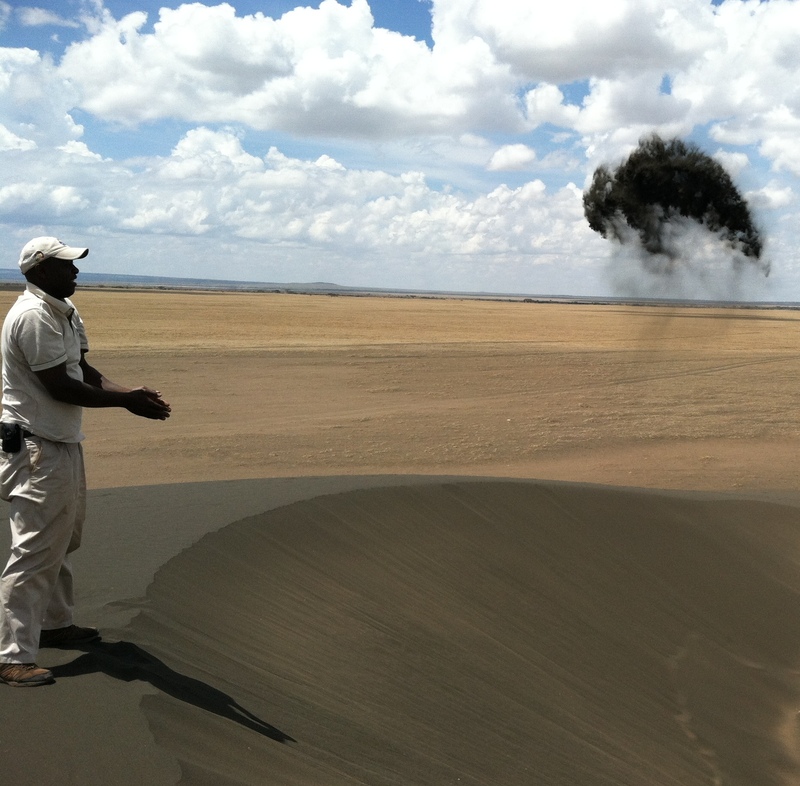 In addition to not being like other sand dunes in appearance, as the dunes are made up of fine black sand, the sand is also extremely magnetic due to its high levels of iron. If you grab a handful of sand and toss it up in the air, rather than blowing away, the substance will clump together and fall back on to the dune. When you’re looking for the dunes, be prepared to go off-road, as they’re always moving. While these dunes may be slightly difficult to find, they’re certainly worth the detour.